Global Air Supplies (G.A.S.) are exclusive partners with System Air to bring the very best ventilation and extraction products indoor grow rooms and the hydroponics industry. The 60mm CarboAir Filters offer the Great level of filtration. 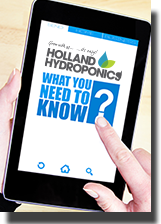 The filters are specially designed to tackle large volumes of air and high levels of odour, meaning your air is effectively filtered before it leaves your grow space. The 100mm CarboAir Filters offer the ultimate level of filtration. The filters are specially designed to tackle large volumes of air and high levels of odour, meaning your air is effectively filtered before it leaves your grow space. The CarboAir makes use of coarser, high-quality carbon in thick beds. Unlike other products, this carbon filter will give you the option of great contact time whilst supplying your fan with optimum airflow. The CarboAir Inline filters have been designed so you can mount your filter outside your grow room, helping to save space. Just duct the air out of your grow room and into the inline filter to scrub the odours. It’s perfect for smaller grow rooms. The newest ventilation system has arrived, and it is not one to miss! The G.A.S. DiffuseAir system offers you complete control over the climate of your grow room. The Revolution Vector fans are based on many years worth of research, development and engineering. Designed to be used with a G.A.S Digital EC Fan Controller, the Revolution Vector Fans feature an efficient motor and body to produce better airflow with less power consumption. EC combines AC and DC voltages, giving you the best of both technologies. The cleverly designed housing encases the Revolution Vector EC fan in a white sound absorbing foam. This foam will absorb all noise without actually restricting any air flow, meaning the fan mechanism inside isn’t compromised at all. What’s more, the foam does not absorb moisture or dust and is certified for use in air acoustic applications!